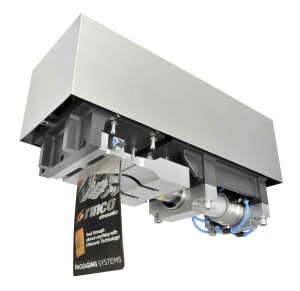 LAS VEGAS, Nev., September 23, 2013 – Rinco Ultrasonics, a leading manufacturer of ultrasonic welding equipment, has expanded its line of FPA series ultrasonic pouch sealing systems for flexible packaging used for dry and liquid foods, personal care items, and electronics. The new FPA 4500-T model offers numerous improvements over its predecessor, the FPA 4500, and gives OEMs the most robust ultrasonic solution with the widest processing window versus competitive ultrasonic sealing and heat sealing processes. Rinco made the introduction at the Pack Expo 2013 exhibition Sept. 23-25 in Las Vegas. The FPA 4500-T is a high force, high-speed unit for top seal bonding of pouches up to 155 mm wide. The new model boasts many upgrades including a single access panel for serviceability and a state-of-the-art wash down resistant coating. The FPA 4500-T has an IP67 rating and meets food contact regulations. Another major improvement is a reduction in the overall width of the unit down to 7.73-in compared to the previous 11-in width. This reduction allows the actuator to be utilized in duplex and triplex installations with room to spare. The FPA 4500-T – made primarily of stainless steel and ceramic-reinforced Teflon® PTFE coated components – also affords a zero clearance capability which allows a minimum gap between the machine gripper and the leading edge of the top seal. The FPA 4500-T incorporates Rinco’s patented PPS0145 seal technology which significantly expands what is possible in ultrasonic film sealing. Each FPA system features a highly rigid actuator capable of rapidly generating the clamp forces required to seal pouches with minimal cycle time. Rinco’s unique PPS0145 interlocking film sealing technology permits seal patterns with greater surface area than competitive ultrasonic seals. In addition, it allows production of contour-shaped seals, unlike the straight line seals offered by competitive ultrasonic equipment. These seals can take almost any configuration, offering end users a range of branding options to differentiate their products from the competition, according to Hull. This patented seal geometry also eliminates any film or pouch slipping, providing even greater repeatability and reliability of the seal integrity. The new ultrasonic film sealing system produces seals with greater surface area than competitive ultrasonic systems and provides the widest processing window of any ultrasonic sealing system currently on the market. Seals anywhere from 2-mm to 25-mm are now possible compared to 1- to 2-mm previously, according to Hull. With the interlocking design and robust equipment, Rinco can offer wider ultrasonic seals which are more preferable by end users, without the need for follow-up heat sealing, thus saving time and cost. Floor space is also reduced because smaller footprint machines can be utilized. The patented ultrasonic seal technology also delivers an increase in bond strength over conventional ultrasonics. Depending upon the film used, Rinco has determined that its interlocking pattern can provide a 20% stronger bond than conventional ultrasonic seals.The FPA series actuators are designed specifically for the packaging industry as a drop-in retrofit to convert heat sealing stations to ultrasonic sealing stations. 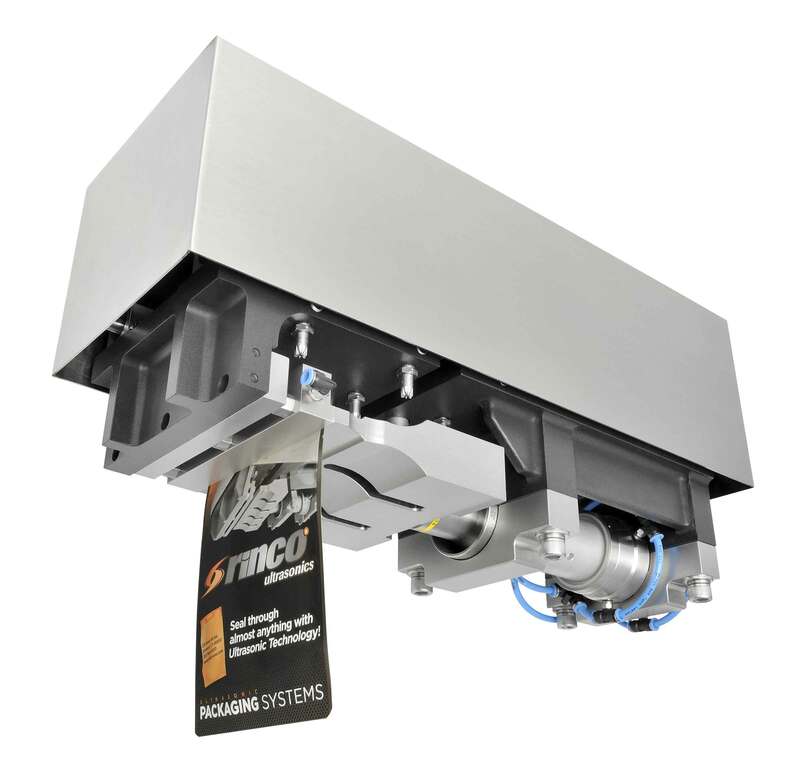 They are extremely rigid to accommodate the demands of sealing thin films, and various sizes are available to suit any horizontal sealing application.Rinco manufactures the FPA 4500-T and other FPA series ultrasonic pouch sealing systems at its Danbury, Conn. facility.